Firstly, I want to give thanks to God for everything that he has done in my life. And secondly, I want to thank World relief and the Youth Forum Baliem Peace Jayawijaya. I believe that World Relief and the Youth Forum have been saving many people from under the HIV and AIDS threats, by providing knowledge to young men and women so that they could be different from their peers. HIV is one of the problems that we are having right now because HIV and AIDS have been killing many people around the world, especially in Papua. Since I was in an elementary school, I have received much information about HIV and AIDS, but I never understood it well. I thought HIV was just something that people always talk about. But now, I have a better understanding, and that is because of the activity of World Relief and Youth Forum Baliem Peace Jayawijaya that I have participated in. We have to solve HIV problems. Today HIV is my responsibility; I have to tell to other people apart from my family. Thank you!!! Park Street Church is a Church Partner with World Relief and is raising funds by riding 500 miles from Baltimore to Boston. Stephanie Coleman, member of Park Street Church, shares why she is passionate about Papua: On May 25, fourteen cyclists will jump on their bikes to pedal 500 miles over the course of one week from the World Relief headquarters in Baltimore to Park Street Church in Boston. These mostly amateur cyclists will push their physical and mental limitations in a gesture of solidarity with the World Relief staff and youth volunteers in Papua, Indonesia, who travel miles on foot to carry the Message of Hope throughout their communities, educating Papuans about HIV through the love of Christ. I will drive alongside them in the comfort of a van. That’s right, a van with air conditioning, cushioned seats and a working radio (I hope). I’ll be wearing the “Crew Chief” cap as I attempt to keep all riders safe and accounted for while we travel through eight states up the Eastern seaboard. Though I won’t be pushing any physical limitations, I will be praying alongside the riders and remembering the time I spent in Papua three years ago. I was blessed with the opportunity to visit the World Relief staff and youth volunteers in 2010 to stand beside them and see the evidence of God at work in Papua through their service. They did not have a van, much less air conditioning. But they had radios, and they were putting them to use. 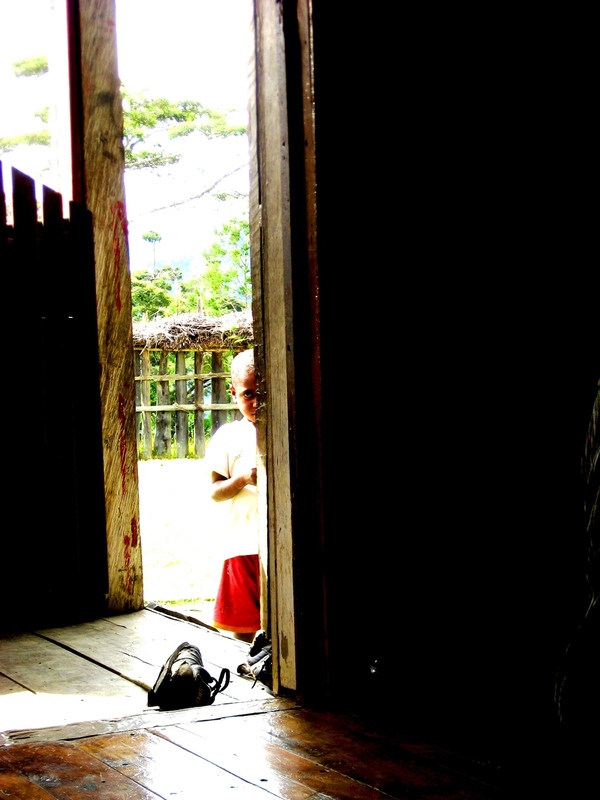 The province of Papua has the highest HIV prevalence rate in Indonesia. 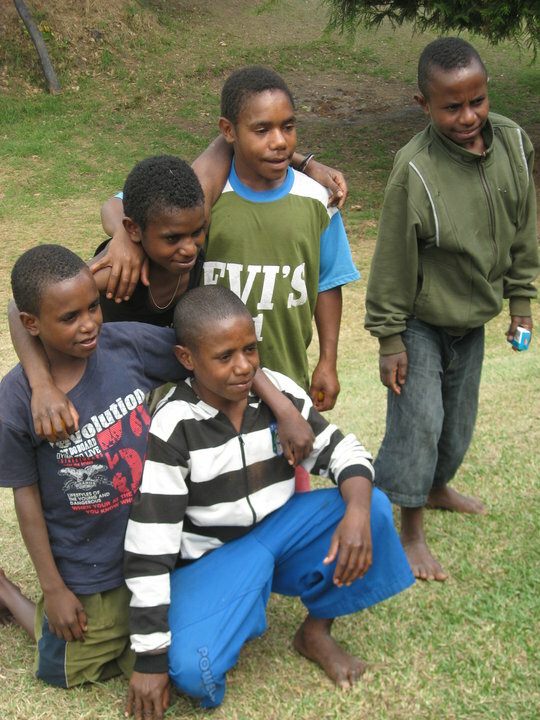 In 2007, Park Street Church and World Relief partnered together to empower the local church to become agents of transformation in Papua to respond to the HIV issue there. Until then, more than half of the population had not heard of HIV/AIDS and misinformation abounded about the disease, creating seemingly insurmountable stigma for those living with HIV. During my time in Papua, I met the most amazing group of youth – we’re talking teenagers – who dedicated their free time to writing, producing and recording radio programs that would help educate people in their home communities in the highlands about the realities of HIV/AIDS. The only catch was that the youth had to walk miles upon miles to get to the highlands and share the radio programs – then hike back to the town of Wamena for the next program. No bikes. No vans. Just feet and strong wills. One of the youth volunteers that I met was Rahel Tabuni. At that time, Rahel was a leader in the youth forum – rallying her peers to discuss difficult issues. She is now on staff with World Relief, leading the way for more youth volunteers to create a forum for discussion and, more importantly, to take action. I was struck by how God has blessed an area that seems so poor in resources with a wealth of courageous, talented and dedicated young people willing to walk the talk (literally). As our team of cyclists prepares to stand with Papua and Ride for the Vulnerable, I invite you to follow us on Facebook. You can also help us raise support for the local World Relief staff in Papua as they bring the life-saving message of HIV/AIDS prevention through the local church.